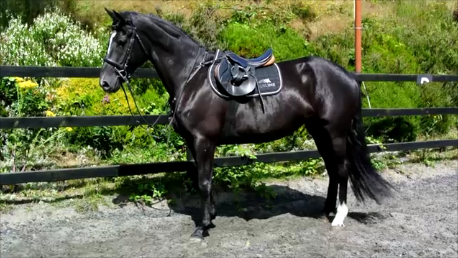 She is broking and riding and has schooled over cross country and show jumping fences. Has participated in woodland ride outs. Will hack out alone or in company. 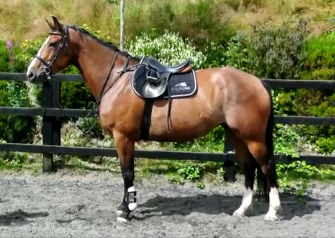 Lovely balanced canter with brave and scopey jump. Currently riding a course of 90/1mt. Contact 0879549640 for more information. Nice easy kind temperament with correct conformation and super movement. Showing great promise on both the flat and over a fence. Is a brave and intelligent horse over fences. Competed at unregistered show jumping and cross country. Has hunter trailed and beach and woodland ride outs. Hacks out alone or in company. This horse would be a great prospect for the future. Contact 0879549649 for more information.